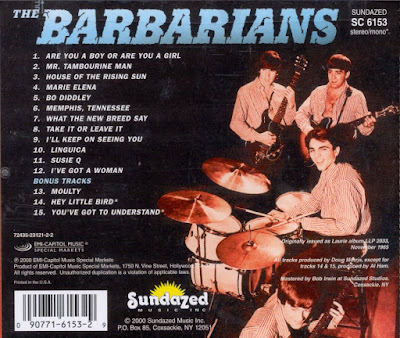 The Barbarians are one of the best-remembered garage bands of the '60s. Not that it's easy to forget the sight of a one-handed drummer, complete with hook, driving his band through a garage punk number in the company of the day's biggest British Invasion, soul, and surf stars. Moulty was hardly self-conscious about his handicap; on the tiny hit single immortalized on Nuggets (titled, logically enough, "Moulty"), he tells the story of the triumph over his loss in no uncertain melodramatic terms. The band also managed a somewhat bigger hit single, the British Invasion-inspired novelty "Are You a Boy or Are You a Girl." 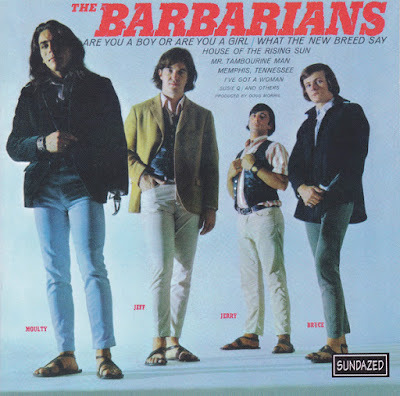 While the Barbarians live up to a lot of people's vision of the classic garage band image-wise, their album is disappointing and thin-sounding. The material, none of which was penned by the group, is average and doesn't even rock terribly hard. "Are You a Boy or Are You a Girl" is here, but much of the rest of the songs are overdone standards ("House of the Rising Sun" is especially lame). "What the New Breed Say" is an okay anthem of rebellion, and "I'll Keep on Seeing You" is a modestly touching ballad. 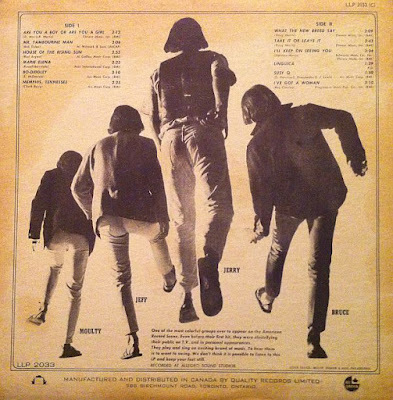 However, as eight of the 12 songs are covers and four tunes are supplied to them by songwriters not in the band, the album does not reflect much in the way of an original vision. The 2000 Sundazed reissue adds three important bonus tracks: "Moulty" and, at long last, both sides of their rare 1964 single on Joy, "Hey Little Bird"/"You've Got to Understand." "Hey Little Bird," the song they performed on their T.A.M.I. Show appearance, is easily their best track, although the studio version isn't as ferocious as their rendition on film.